Using the test creator, administrators can prepare tests for academic use, high-stakes and practice certification, and pre-employment assessments. Administrators have access to easy-to-use item authoring tools that allow them to create and organize multiple-choice, short-answer, and open-ended questions. This allows for customized content correlated to an organization’s standards. Once assessments are created, they can be delivered with options that include number of times a test may be taken, test timer, warning messages, random item delivery, test navigation rules, and score report display. Adaptera™ provides a simple and intuitive interface where candidates can easily view their list of assignments and their test status of those assignments. All tests display standard instructions before the test begins, and administrators can create their own custom set of instructions during the test assignment process. Administrators also control the candidate navigation choices by giving candidates options to “save and finish later” or require that a test be completed in one sitting. 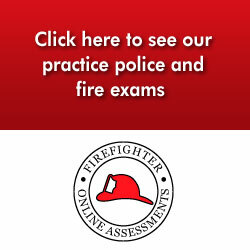 Upon completion, all assessments are immediately scored, and candidates have immediate access to their scores. Administrators determine whether candidates are provided with minimal reporting where only overall scores for each category are reported, or detailed score reporting for remediation purposes where candidates can see what questions they answered correctly. Additionally, through IntelliMetric®, the most accurate and reliable automated essay scoring system, scores are provided for each test taker’s writing submission on any assessment. iSEEK™, the advanced linguistic discovery tool embedded within Adpatera™, connects candidates to over 300,000 authoritative resources, when remediation resources are to be provided. Additionally, through vLibrary, custom instructional resources can be delivered to candidates based on their individual needs. The instructional platform allows educators to assign custom and ad-hoc resources in a variety of formats, including audio, video, PDF, PowerPoint, Word, etc. Administrators are provided with a testing dashboard where reports can be created based on groups, test status, and/or date range. Comparative reports are also available and contain score and category data for each user. Reports can be viewed online or exported as Excel, .CSV, or XML files.